For easy clean up I always recommend using one of these nifty crockpot liners. They are so nice y'all. Next, place your beef in the bottom of the slow cooker. Pour the beef broth over the beef. Place the lid on your crockpot and set to LOW for 8 hours. After 8 hours remove the beef from the slow cooker and shred. This is honestly so easy because the beef is extremely tender. It literally just falls apart. 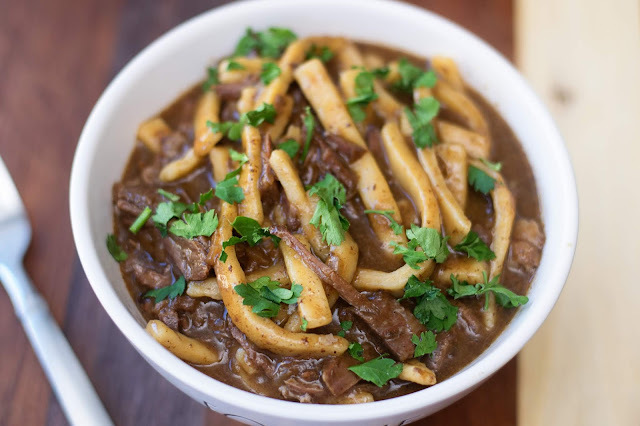 Return the shredded beef to the slow cooker and add the frozen noodles. Place the lid on the crockpot and cook for 30 more minutes. 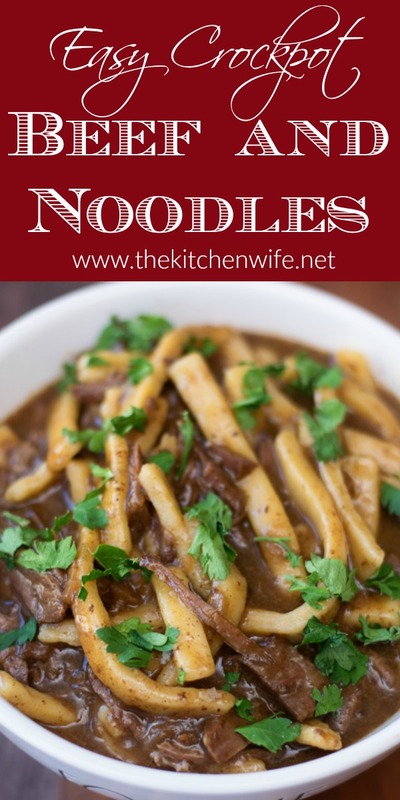 Your Easy Crockpot Beef and Noodles Recipe is now perfectly cooked and ready to eat! It's that simple. I wish I could find the right words to express to you how rich and flavorful this Easy Crockpot Beef and Noodles Recipe is. The beef is so tender and I love the hearty element the frozen, homestyle noodles add to the dish. I served this with some beautiful steamed broccoli and it was honestly the perfect meal. I know everyone in your life is going to love it, so get in the kitchen and give it a try TONIGHT! 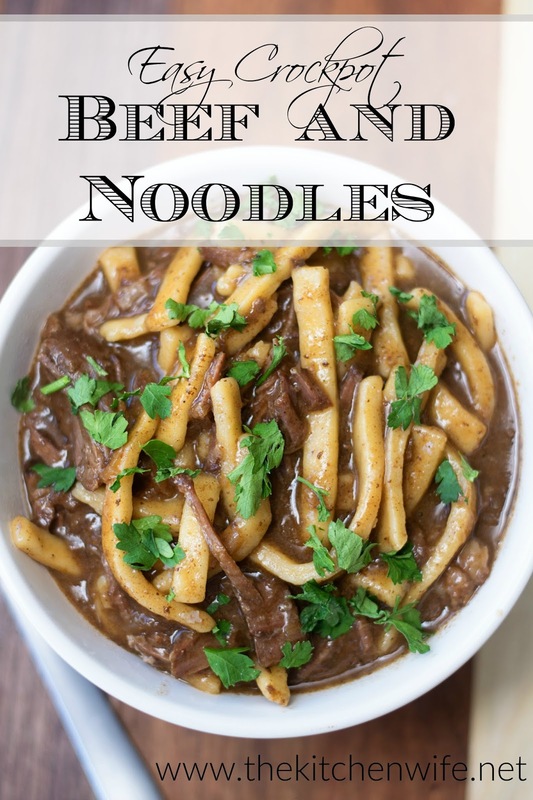 This recipe for Crockpot Beef and Noodles is sure to be your new family favorite. With just a few simple ingredients, it couldn't be easier! Sprinkle the onion soup mix along with the gravy mix over the beef. Pour the beef broth into the crockpot. After 8 hours, remove the beef from the crockpot and shred. Return the shredded beef to the slow cooker with the frozen homestyle noodles. Place the lid back on the crockpot and cook for 30 more minutes.